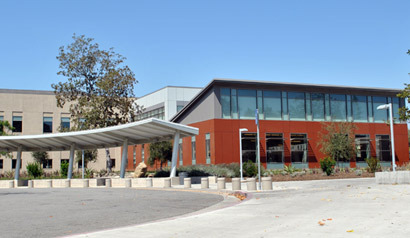 Library and Learning Resource Center | Yang Management, Inc.
New Library / LRC facility of 89,000 SF, with reinforced concrete spread footings and grade beams, steel columns and bracing, reinforced concrete slab on grade and structural steel framing. Includes four exterior concrete filled metal pan stairs and one 2-stop hydraulic elevator. Full M/E/P/Fire Protection. LEED Project. This entry was posted in Completed Projects by Administrator. Bookmark the permalink.